Stephon Gilmore rebounds against Bucs, says he was "out to prove something"
The Patriots payed $65 million over 5 years to pry All-Pro cornerback Stephon Gilmore away from the Bills in free agency this year. 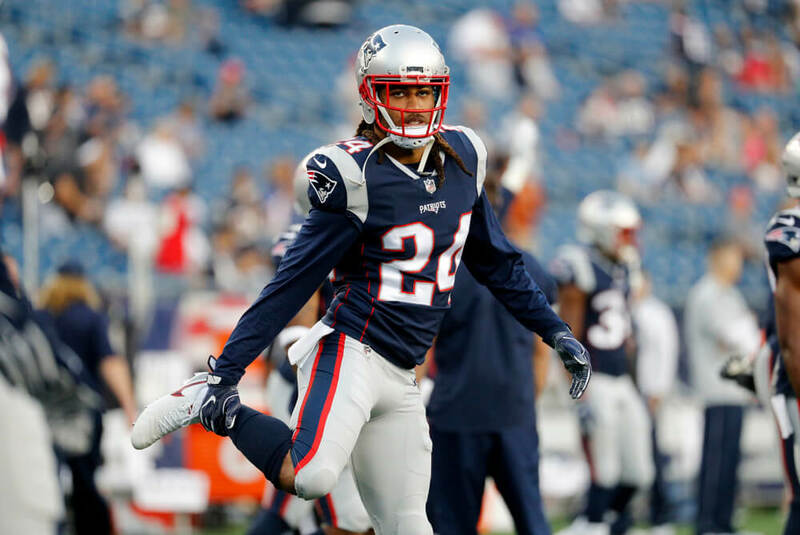 With a contract that big and expectations that high, it's understandable to see why the team was disappointed when Gilmore struggled to adjust to Foxborough over the first quarter of the season. But if Thursday night's game was any indication, he may have finally found his groove. Shadowing Tampa Bay's #1 receiver, Mike Evans (who caught 96 balls for over 1,300 yards and 12 scores last year), for most of the night, Gilmore proved effective: he held the former top-10 pick to under 50 yards on 5 catches (8 targets). That turnaround mirrored the entire New England D, which gave up only 14 points after surrendering 33 in back-to-back weeks. For his part, Gilmore attributed the improved performance to increased preparation and desire. As MassLive noted, he studied multiple years of film on Evans in the short week and used his newfound knowledge to neutralize the 6'4" wideout. "I watched last year, I watched this year. I studied every route he ran," Gilmore said. "So I pretty much had an idea -- they switched a few -- but I pretty much knew every route that he ran." "I was out to prove something," Gilmore said. "You know, you have to perform, If you don't people are going to talk about you...Everything isn't always going to be all good and gravy, you know? You have to bounce back and prove yourself every week. I think I did it this week." Gilmore's back was certainly against the wall Thursday night. By all measures, he delivered his best performance of the year. Hopefully for New England it's a sign of things to come.